While Apple's much-anticipated foray into the connected television segment is unlikely to materialize until 2013, moves by the company in recent weeks point to an intermediate refresh of the existing Apple TV product to coincide with the release of new iPad models early next month. For three consecutive weeks, the Cupertino-based company has failed to make good on its promissory to restock indirect channel partners with fresh inventory of the existing $99 Apple TV product, say people familiar with matter. Instead, partners and channel members have seen Apple push back deliveries each consecutive week by one additional week —a practice that almost always foreshadows a formal discontinuation of a product ahead of new models. Concrete evidence that the Apple TV set-top box is set for a refresh began to crop up this month, when the online store of retailer Best Buy suddenly stopped selling the $99 device. Since then, availability has been scarce at the company's largest resellers, including as Amazon.com, MacMall and MacConnection, though the Apple TV has remained readily available at Apple's own online store. The new Apple TV model —referenced in pre-releases of Apple's iOS software as both Apple TV 3,1 and J33 —is expect to feature the same or similar components to Apple's imminent third-generation iPad. One leak from earlier this month claiming to show an "iPad 3" logic board indicated the device will be powered by a new processor known as "A5X," suggesting it is an enhanced version of the A5 CPU currently found in the iPad 2 and iPhone 4S. The current Apple TV, however, still runs off of an A4 CPU, which originally debuted in the first-generation iPad in 2010. An upgraded Apple TV processor could allow for greatly expanded functionality with the set-top box, namely the ability to stream and play back true high-definition 1080p content. Currently, the Apple TV is restricted to 720p resolution for high-definition content. The Apple TV was last updated in late 2010 with a completely redesigned model based on Apple's custom processor and a heavily modified version of its lightweight iOS operating system. 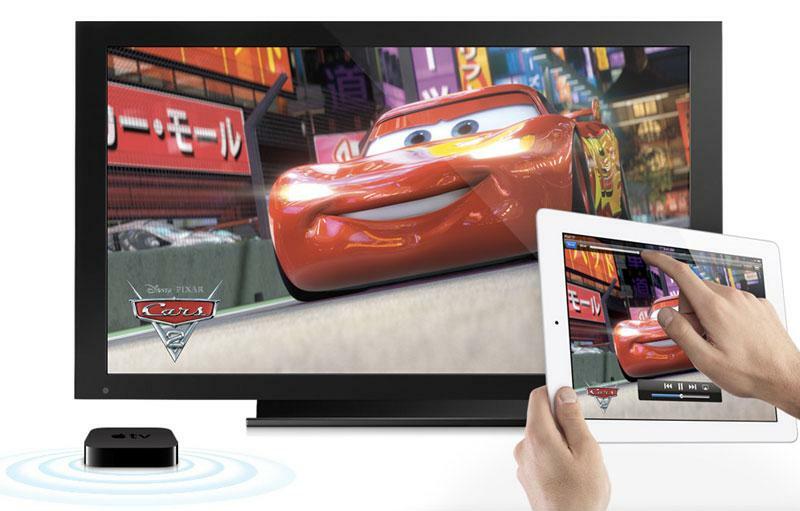 While the device streams movies, TV shows, music and other content from iTunes, its defining ability has been AirPlay, which allows iOS device users to wirelessly stream content and even mirror the screen of a device on their HDTV. 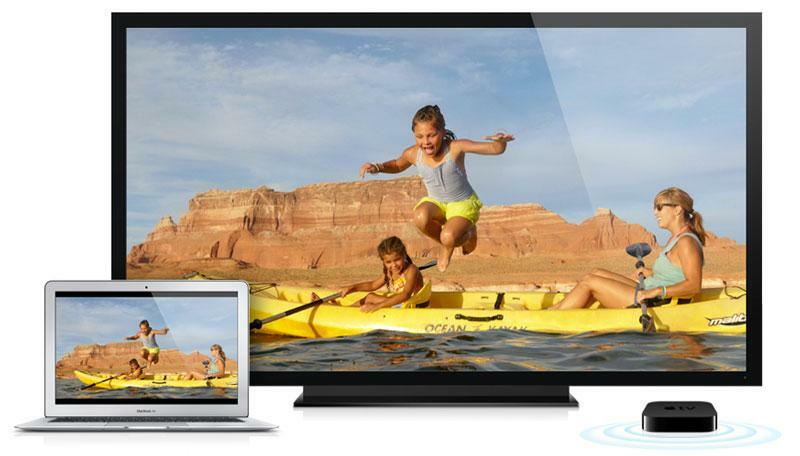 AirPlay will play an even greater role with Apple TV later this year with the launch of OS X 10.8 Mountain Lion. Apple's new Mac operating system will include built-in support for AirPlay, allowing users to mirror their Mac display on an HDTV. Any upgrade to the Apple TV is likely just a stopgap to keep the device current before Apple dives in to the highly competitive television market. Numerous rumors have pointed toward a full-fledged Apple television set being unveiled no earlier than late this year, and potentially going on sale in early 2013. Even if Apple does release a television later this year, it could coexist with the Apple TV set-top box. Analyst Gene Munster with Piper Jaffray said in a note to investors Tuesday that even with the launch of an updated Apple TV, he still expects a true Apple television to debut as early as the end of 2012 and cater to a different market segment. "Apple could sell both products given very different price points and value propositions," he said.